Precision actuators move the cage swiftly and smoothly for fast, silent, accurate front shifts every time. 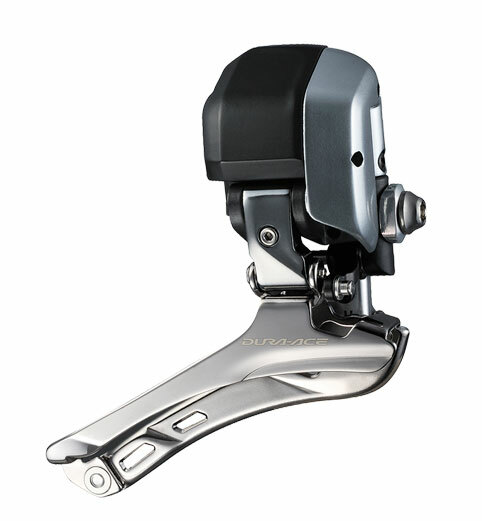 And with single-wire E-tube connection to the rest of the system, the front derailleur is able to automatically trim itself as you shift the rear derailleur, eliminating chain rub. Available in braze-on configuration only. Requires braze-on adapter to work with clamp-compatible frames.